Evolution rubbers are flagship products in TIBHAR’s rubber range. 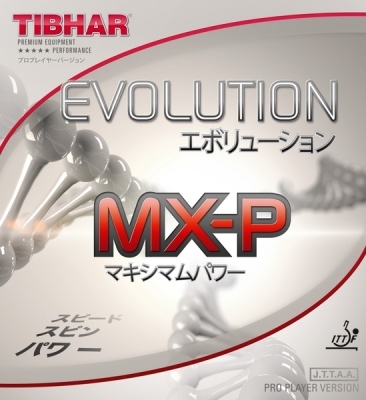 Tibhar Evolution MX-P is the fastest and most dynamic in the range. It has a hard red rubber sponge of between 46 to 48 degrees. The rubber gives great potential to generate power and energy and transfer it to the ball during the stroke. Recommended for attacking topspin players.